MORE VISIBILITY FOR YOUR PRODUCTS. MORE PROFITS FOR YOU. It’s the best way to cool your products and view them at the same time. 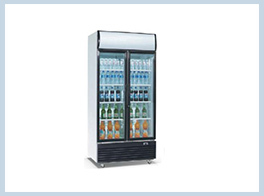 Blue Star’s range of visi coolers are specially designed to cool uniformly and help you display the products inside. So while the display increases product visibility, the visibility increases sales. And more sales mean more profits for you.